The gums inside the mouth are very important to the entire structure of a person’s smile and complete oral health. Healthy gums are firm and light pink that can withstand brushing and flossing without discomfort or bleeding. For many people, gum disease begins to affect their mouths without them being aware of it. Red, swollen gums that bleed during tooth brushing are at the first stage of gum disease. If left untreated, this seemingly simply condition can progress into something much worse and irreversibly change a person’s smile. At Gold Hill Dentistry, we offer complete and comprehensive family dental care to patients of all ages. Preventive care is essential to avoiding gum disease, but once a person has the first stages of gum disease treatment is critical. Gum disease is caused by harmful bacterial plaque that builds up on the teeth from the breakdown of foods and beverages that people consume. While this is a natural process, it is important to remove plaque daily through brushing and flossing. Brushing removes plaque that builds up on the outer surfaces of the teeth, while flossing removes plaque from between the teeth where toothbrush bristles cannot reach. Before you think of skimping on your flossing habits, know this: flossing is more important than brushing! Gum disease that is allowed to progress without a professional cleaning and interventional treatment can destroy a person’s mouth in relatively little time. Plaque forms very quickly, and if it is not removed daily (by brushing AND flossing! ), it will begin to breakdown the structure of the teeth by eating away at the surrounding gums. Dr. Sagunarthy and Dr. Mokris understand the devastation that can occur from gum disease. Our dental practice offers restorative treatments that will allow the early stages of gum disease to be reversed. If you think that you have any signs of gum disease, please contact our office right away. 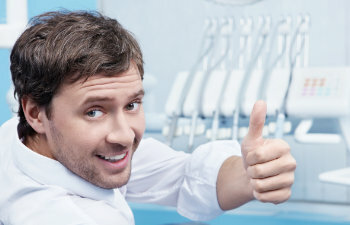 The sooner you begin treatment, the sooner your smile can be restored.